Ross, 38, is not a geek, one of those people enamored of and buried in mind-numbing complexities of the computer world. He sees the practical potential of technology and has become one of the State Department’s first Internet Age diplomats in a position created by Clinton. He is showing that even the ubiquitous cell phone can be a vital tool in combating crime, climate change, medical care, human trafficking, and a vast number of other things, including many in the most remote and impoverished regions of the world. He points out, for example, that 75 percent of cell phone growth is in developing nations. Much of the world found out about the Iranian election protests through Twitter, and millions of dollars were raised for the Haitian earthquake disaster by texting on mobile devices. 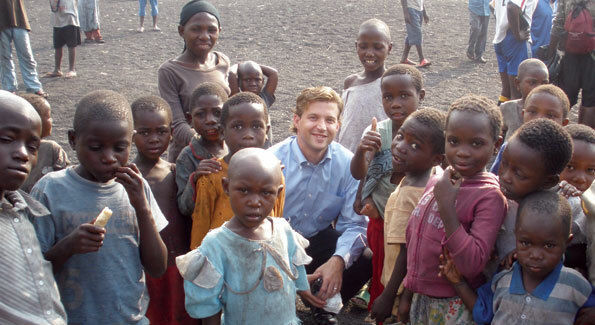 On a recent trip to the Congo, one of the poorest places on Earth, Ross says his Blackberry began chirping with three different available networks as soon as he disembarked from his plane. There are political ramifications as well. Ross explains that in Iran and more than 20 other nations that censor the Internet, the State Department is helping develop policies whereby citizens can have Internet access even when their governments are trying to deny it. “This is what freedom of expression is about in the 21st century,” he says. In a boardroom off the State Department library, Ross speaks about a recent trip to Mexico to help people report crimes anonymously and without retaliation by means of a specially designed text messaging system. Their reports were relayed to a web site where the officials who responded were required to answer back. He emphasizes this system establishes three things: anonymity, transparency, and accountability. “It is thinking creatively of technology,” he says. Before joining the administration, Ross built his reputation on co-founding and helping run One Economy Corporation, which became the world’s largest digital divide organization with help from the Bill and Melinda Gates Foundation, Cisco, the Ford Foundation, Google, and AT&T. His persistence in cold calling them until he got a response helped get the nonprofit group started in 2000. During his eight years there, One Economy developed programs on four continents to help more than 20 million low income people get broadband Internet access, create localized websites, and get technical training. 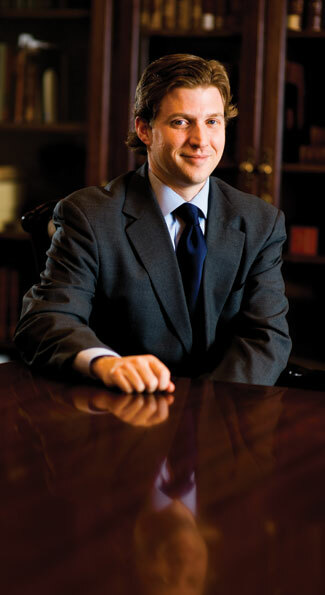 Ross enjoys talking about growing up in Charleston, where his father is a lawyer and his mother a paralegal. He points out that there were three kinds of youngsters in his high school: “creekers,” (children from poor families who lived in the rural hollows), the better-off kids, and band geeks. He is embarrassed to be reminded that his mother once told a West Virginia newspaper that he had told his classmates that he wanted to be president someday, and was annoyed when he was asked in return, “President of what?” He quickly adds that he has no “short term” political ambitions, and doesn’t elaborate on what that might mean in the long term. The Obama presidential campaign was his first involvement in politics and where he helped develop the administration’s technology policy. A 1994 graduate of Northwestern University majoring in Medieval History, Ross spent his junior year studying in Italy and is fluent in Italian. He moved to Baltimore after graduation to join Teach for America and was assigned to the inner city Booker T. Washington Middle School, where he taught a class of the toughest kids. He was 22 and a slight five-foot-seven, but says he didn’t have any problems. He has lived in Baltimore ever since. There is a dramatic difference between Northwestern’s campus on Chicago’s wealthy Gold Coast and blue-collar Baltimore. “I loved Northwestern, but don’t identify with the North Shore wealthy,” he says. “I identify with the working class and middle class and I wanted real work.” Such an answer sounds like the right thing to say, but coming from Ross it is believable. There are times he has to stay late, for example when Twitter co-founder Jack Dorsey was in town. Ross organized a dinner for him in a private room at the Bombay Club with a small group. He also scheduled an elegant dinner in the State Department’s historic Benjamin Franklin State Dining Room for Clinton and top technology moguls, including Dorsey, Google CEO Eric Schmidt, and Microsoft’s chief research and strategy officer Craig Mundie.